Attracting high-quality tenants is a property owner’s highest priority. While there are specific features that each renter would be looking for in a single-family rental home, there are a number of features that consistently rise at the top. And this is true even though every prospective renter has different needs. So, you need to be on top of those two things. First, you need to know what your tenants are looking for. Second, you need to know what features will attract the specific kind of renters you want. These will help your Melbourne rental properties stand out in a highly competitive market. Maybe the chief and most conspicuous feature of an attractive rental home is a property that is spotless and not falling apart. When a rental home presents evidence of maintenance in progress and new features, tenants see an owner who attends closely to their property. When the time comes to ask for repairs or maintenance, interested renters will connect a cared-for home with a landlord who will likely meet their needs efficiently. Another notable feature that potential renters want to see in a single-family rental home are updated appliances. The kitchen is a vital point in a single-family home because people typically spend a good amount of time there. Enjoying their home also means being able to use updated kitchen appliances to make tasty meals. Everyone can then gather around the table and have quality family time together. The location will constantly be an important element of real estate investing, but what makes a great location? Extremely sought after homes are located within accessible distance to parks, schools, restaurants, and other standard places. You may have no control over the location of your property but that doesn’t mean you can dismiss thinking about it altogether. Note down what amenities are available nearby and make sure that these are listed down when you create your marketing materials. Along with location, potential tenants are perhaps always looking for space. Space for a family, a hobby, storage, parking, and maybe even a pet. A property owner should make sure that they have yards that are beautiful and easy to maintain. This is one thing that they can do to attract quality renters to their Melbourne rental homes. Gatherings and other happenings are a large part of daily life, and a property that allows ample space for these events will be more appealing to people looking to rent a home. There is an additional way to fill vacancies and retain tenants long-term, and it has to do with a clause in the lease. You can get renters who are pet lovers to keep their approved animals on the property and make them very happy by adding a pet clause to the lease. People love their pets, and single-family homes that are friendlier to pet lovers will always hold appeal. There are still more things a property owner can do to attract quality renters to their rental homes. Here are a couple: Provide laundry hook-ups and, in warmer climates, central air conditioning. Laundry is a chore that will never go away, and space must be provided for at least a washer and dryer. 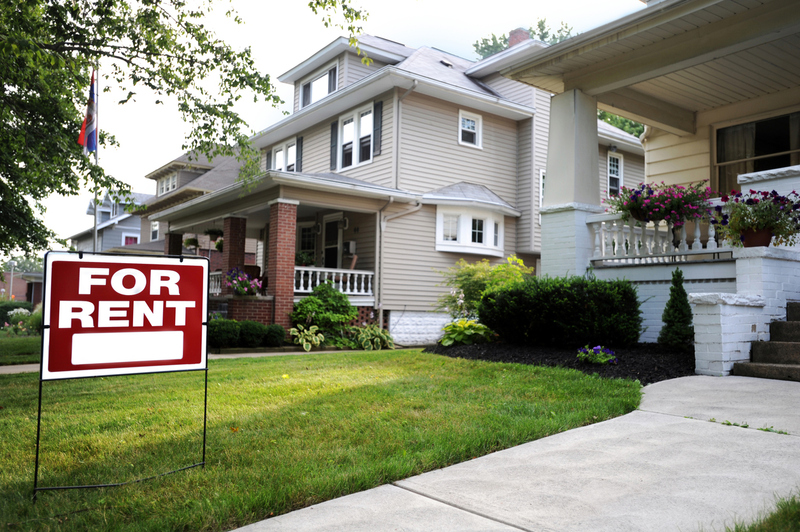 This is an absolute requirement if you want to attract a long-term quality tenant to your single-family rental home. Air conditioning, too, is crucial for warmer climates. Renters, when having to decide between one rental home or another, usually choose the one with reliable air conditioning. At Real Property Management Brevard, our team of property management experts makes it easy for your rental property to attract and keep quality tenants. We take care of maintenance, give rental rate assessments, and help you fill vacancies promptly and efficiently. Would you like to learn more? Please contact us online or call us at 321-610-8022 for more information.